Do people see the real you? After some posts about my traveling, I finally took the time to write about another topic. As I am writing, I realize how good of an example this is, considering the topic of this post. So, let’s start right here. I’ve been planning for quite a while to write regularly on my blog, even though I am not completely sure which topics will be covered and where this will go. I thought about it, spoke about it – nothing happened. Of course, this has some reasons and here is exactly the point. There are excuses I can bring up why I haven’t blogged, but it all comes down that I haven’t done it – yet. Another example which is definitely more important than my writing habits, is large-scale animal husbandry. Many people argue about this topic and how bad it is. I totally agree and haven’t done anything against it so far. Instead, I’m hiding behind the explanation that I don’t have enough knowledge about food. Thus, I don’t know how to compensate the neglect of meat with other food. Another way would be to focus on “animal-friendly” husbandry. I haven’t done either of them and the latter would be a start at least. Where am I heading with this? When you talk to people, you can always explain yourself and give more or less reasonable excuses, why you have or haven’t done something particular. 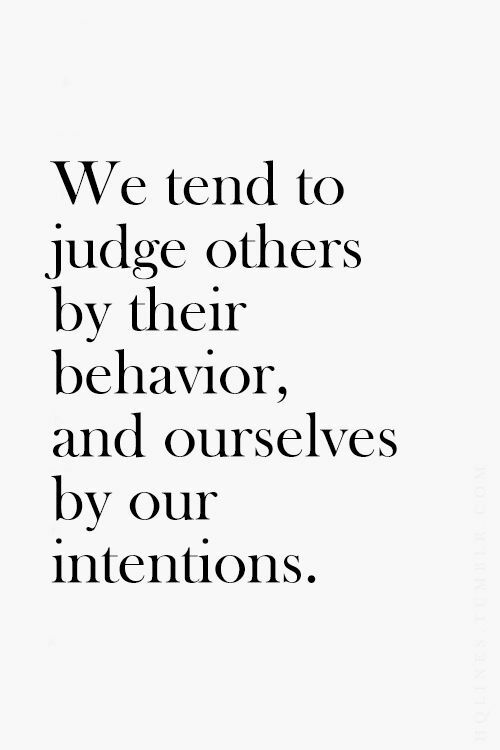 What would happen, if you don’t have the chance to comment on your behavior and people could only see your actions? This is not about you acting to get any kind of social approval, but to your values and for yourself. If you like this topic, you might find this thread also informative.